The Muslim Brotherhood has operated as a terrorist entity for almost a century. The question is—which view is correct? Without doubt, the second one is. The Muslim Brotherhood has been a militaristic organization since its inception and has operated as a terrorist entity for almost a century. It influenced the establishment of most modern Sunni terrorist organizations, including al-Qaeda, al-Gama'a al-Islamiyya (GI) Hamas, and the Islamic State (ISIS). These organizations have either been founded by current or former Brotherhood members or have been directly inspired, indoctrinated, or recruited by MB members and literature. Contrary to what the MB propagates to Westerners, MB violence is not just in the past but is an ongoing activity. The MB infiltrated the Egyptian army with a group that overthrew the monarchy in a bloodless coup in July 1952. During the 1990s, the Egyptian authorities battled against a sustained wave of Islamist terrorism involving attacks on government officials and the country's Coptic minority, the murdering of foreign tourists as well as an audacious attempt on the life of President Hosni Mubarak while he was in Ethiopia in June 1995. In the same year, GI's leader and MB spiritual authority, Omar Abdel Rahman, known as "The Blind Sheikh," and nine others were convicted of seditious conspiracy in connection with the 1993 bombing of the World Trade Center. Abdel Rahman is currently serving a life sentence in a federal prison in North Carolina, and in Muhammad Morsi's first speech as Egyptian president in Tahrir Square, he called for Abdel Rahman's release and acknowledged the sheikh's family who was present in the audience. 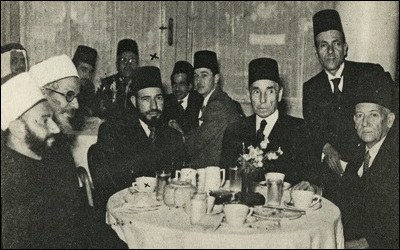 No less important was the formation of the movement's International Apparatus by Banna's son-in-law Said Ramadan. Having fled Egypt to Saudi Arabia in 1954, Ramadan moved to Geneva in 1958 where he established the International Apparatus under the guidance of Mustafa Mashour, head of the Secret Apparatus, future MB general guide, and author of its militant manifesto "Jihad Is the Way." The International Apparatus was not fully operational until the mid-1980s when Mashour, who fled Egypt after Sadat's assassination, settled in West Germany in 1986 where he reestablished the Apparatus. The MB's International Apparatus is involved in operating and funding terrorist groups responsible for attacks on American soil. The International Apparatus's most critical mission, though, has been to infiltrate, subvert, and recruit operatives from within the armies, governments, educational systems, and intelligence agencies of the MB's targeted states, especially in the West, in what is called "civilization jihad." The 1980s and 1990s were the two most important decades for the "civilization jihad." During this time, Hamas was transformed from an essentially missionary and charitable organization seeking to win Palestinian hearts and minds into a fully-fledged terror group during the first intifada (December 1987-September 1993), and the seeds were sown for the advent of al-Qaeda through the newly-formed Maktab al-Khidamat (MAK, the Services Bureau), also known as Maktab Khidamat al-Mujahidin al-Arab (the Services Bureau of Arab Jihadists) and the Afghan Services Bureau. As jihadists flocked to Afghanistan and Pakistan to fight the Soviet occupation, the Brotherhood was busy running recruitment, jihadist services through its MAK offices throughout the Middle East. In 1984, MB operative Abdullah Azzam established the MAK office in Jordan. Azzam's philosophy helped establish and organize the Brotherhood's "global jihad" movement, which earned him the alias, "The Father of Global Jihad." No less important, this philosophy inspired GI and Egyptian Islamic Jihad (EIJ) to try to export their terrorism and greatly inspired Osama bin Laden, whom Azzam taught at a Saudi university. In 1985, MB operatives Abdullah Azzam (L), bin Laden, and Ayman Zawahiri (R) founded MAK in Pakistan, which evolved into al-Qaeda. The Amman MAK recruited Abu Musab Zarqawi, who founded Jama'at al-Tawhid wa-l-Jihad, which evolved into al-Qaeda in Iraq and eventually into ISIS. 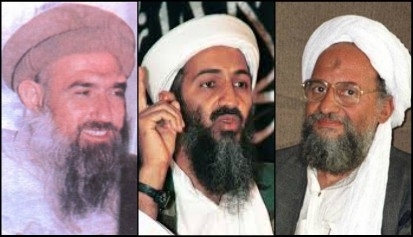 In 1985, Azzam, bin Laden and Ayman Zawahiri, leader of Takfir wa-l-Hijra who fled Egypt after the Sadat assassination, founded MAK in Pakistan, which subsequently evolved into al-Qaeda. Meanwhile, the Amman MAK office recruited one of the world's most brutal terrorists of modern time, Abu Musab Zarqawi. Mentored by Jordanian former MB leader Abu Muhammad Maqdisi, in 1999, Zarqawi founded Jama'at al-Tawhid wa-l-Jihad (Organization of Monotheism and Jihad), which six years later, evolved into al-Qaeda in Iraq (AQI) after Zarqawi pledged allegiance to bin Laden in late 2004. This group eventually morphed into ISIS after Zarqawi's death in June 2006. Indeed, in a 2014 interview reported in Al-Arabiya News, the Muslim Brotherhood spiritual guide Yusuf Qaradawi admitted that ISIS leader Abu Bakr Baghdadi was a member of the Muslim Brotherhood. For their part, several MB leaders publicly announced their support for ISIS, including the Qatar-based Sheikh Wagdy Ghoneim. The nature of al-Qaeda's current relationship with the Brotherhood is somewhat unclear. 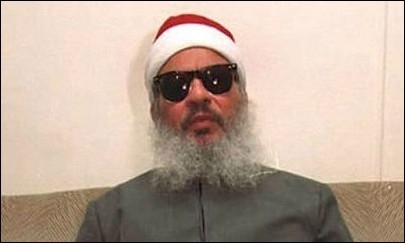 While Zawahiri argued that bin Laden's affiliation with the MB was severed in the 1980s due to differences over the anti-Soviet Afghanistan campaign, this claim was discounted by Tharwat Kherbawy, the highest ranking MB member to have defected from the organization, and also by evidence suggesting that the Brotherhood is still organizationally involved with al-Qaeda. Thus, for example, after Morsi's July 2013 ouster from power, Zawahiri issued a videotaped statement on his behalf where he criticized Egyptian Salafi jihadists for not formally joining the Muslim Brotherhood's Freedom and Justice Party to help it uphold Shari'a law. In another statement, Zawahiri criticized the deposed MB president for having played politics with opponents, but eventually prayed for his release and supported him while he was facing trial for inciting the killing of regime opponents and for espionage for foreign militant groups including Hamas, Hezbollah, and Iran's Revolutionary Guard Corp. The Obama administration's stubborn support for the Morsi regime and its tireless attempts to cast the MB as a moderate organization are preposterous—not only because the Brotherhood is the bedrock of some of the worst terror groups in today's world but also because violence is endemic to the movement's raison d'être: restoring the caliphate via violent jihad. Were the Brotherhood to give up this foundational goal, it would lose its legitimacy and sole reason for existence. This is why Banna used military terminology in structuring the MB, calling the organization "Allah's battalion," a term used to this very day to denote the MB's governing core; this is why the current Brotherhood leadership includes operatives who personally engaged in violent jihad and terror activities such as Abdel Moneim Abul Futuh. Osama Yassin, a former minister in Muhammad Morsi's cabinet, revealed that members of the MB's 95 Brigade militia engaged in the abduction, beating, and torture of "thugs" during riots leading to Mubarak's downfall. Furthermore, the organization's Secret Apparatus remains intact and operational with new recruits required to undergo military training by such militias as the 95 Brigade, which was established in 1995 and which played an active role in the January 2011 riots leading to Mubarak's downfall. In a series of interviews with al-Jazeera TV, Osama Yassin, a former minister in Morsi's cabinet, revealed that members of the brigade engaged in the abduction, beating, and torture of "thugs" and threw Molotov cocktails at their opponents. Asked by an Egyptian newspaper to clarify these revelations, the MB dismissed them as a joke. Still, the brigade operatives were later implicated in the killing of anti-Brotherhood protestors. In March 2014, for example, two operatives were sentenced to death after an online video clip showed them killing a teenager by throwing him from a building. According to the Brotherhood's own standards and internal bylaws, there are ten solid, unchangeable thawabit (precepts) in their organization's bai'a (Islamic oath of allegiance) process. The fourth of these precepts is violent jihad and martyrdom, which the Brotherhood states is an obligation of every individual Muslim, as well as the collective obligation of their organization. The current Brotherhood leadership includes operatives who personally engaged in violent jihad and terror activities. Unfortunately, many American specialists either receive foreign funding or are otherwise oblivious to these facts and actively engage in a disinformation campaign. For example, a Brookings Institute article turned the meaning of the "fourth precept" of the Brotherhood's bylaws on its head, stating that it stipulated that "during the process of establishing democracy and relative political freedom, the Muslim Brotherhood is committed to abide by the rules of democracy and its institutions." Reality, of course, was quite different. When after Mubarak's downfall the Muslim Brotherhood rose to power in a sham presidential election, which brought its operative Mohamed Morsi to the presidential palace, its violent and undemocratic rule triggered, in short notice, mass protests throughout the country that brought millions of protestors to the streets and enabled the military to overthrow Morsi in a bloodless coup. Indeed, the sheer brutality of ISIS and various Brotherhood-affiliated or inspired terror groups across the Middle East has led to the advent of a mainstream Islamic reformist movement that draws on vastly more popular support than the Brotherhood itself. This unprecedented revival of a reform-oriented movement has received too little attention in the West. For example, Islam Behery, one of the movement's heroic leaders, was incarcerated for a year for blasphemy for insulting al-Azhar University and the Sunni doctrine on his television show. For two years, that show had been dedicated daily to exposing the brutality and terrorism of Sunni doctrine while offering a non-theocratic, liberal interpretation of Islam that pushes for separation of mosque and state. Behery received a presidential pardon in December 2016, which was unprecedented in Egyptian history. Another supporter of reformation and freedom of thought is Ibrahim Issa, a popular Egyptian commentator, television host, and owner and editor-in-chief of the independent opinion newspaper Al-Maqal. Earlier this year, Issa announced that he would end his TV show due to "current events," kindling speculation that the cancellation was related to Saudi pressure on the Egyptian regime because of Issa's criticism of the kingdom's violent Wahhabi sect. Issa's reformist stance has placed him on terrorist hit lists since 1992, and he has been living under tight security ever since. His opposition to the Muslim Brotherhood has made him one of the organization's high profile targets, and in 2015, he became the subject of an official fatwa declaring him an "infidel." The war of ideas is highly dynamic in today's Middle East. The vast majority of the region's peaceful Muslims are marginalized by Western support for the Brotherhood and the West's refusal to designate the MB as a terrorist organization. The deadly Brotherhood cult is responsible for almost a century of terror since the young Banna engaged in the intimidation and harassment of his Christian and moderate Muslim neighbors. Since then, the Brotherhood established Hamas as its Palestinian wing. Three Brotherhood activists established al-Qaeda. Brotherhood leaders, from inside their prisons, founded al-Gama'a al-Islamiyya and Egyptian Islamic Jihad. Brotherhood members recruited the founder of Jama'at al-Tawhid wa-l-Jihad who started the trend of video decapitations, and one of its former operatives is currently acting as the caliph of Islamic State. The MB also has other connections to organizations on the U.S. government's list of foreign terrorist organizations. The majority of the region's peaceful Muslims are marginalized by Western support for the Brotherhood. The Brotherhood has stated its intention to destroy the West's "miserable house" by infiltrating Western society and institutions and subverting them from the inside. Designating the Muslim Brotherhood as a foreign terrorist organization will stop its operatives from reaching sensitive positions in the intelligence community and in other powerful U.S. government positions. It will also stop Brotherhood operatives in the United States from funding terrorism operations worldwide. Cynthia Farahat, a Middle East Forum Writing Fellow and columnist for Al-Maqal daily newspaper, is currently working on a book about the Muslim Brotherhood. John Esposito, "The Muslim Brotherhood, Terrorism and U.S. Policy," The Huffington Post (New York), Mar. 22, 2016. Abdallah Aqeel, "Al-Sheikh al-Muhadith Ahmad Abdel Rahman al-Banna al-Sa'ati," AlaqeelAbuMostafa.com, accessed Aug. 30, 2016. Hassan al-Banna, Mudhakkirat al-Da'wa wa'l-Da'iyah (Cairo: Maktabat al-Shihab, 1979), pp. 17-8, 25-6; Misr al-Balad TV (Cairo), Mar. 19, 2014. Abdel Rahim Ali, "Abdel Rahman Sendi: Mu'asis al-Tanzim al-Khass bi'l-Ikhwan," Islamists-Movements.com, Nov. 12, 2015. "Assessing the Islamist Threat, circa 1946," Middle East Quarterly, Summer 2006, pp. 76-82; FrontPage Magazine (Sherman Oaks, Calif.), Feb. 13, 2006. Khaled Mohieddin, Al'an Atakkalam: Mudhakkirat al-Thawra (Cairo: American University of Cairo Press, 1995), p. 45; Hassan Ashmawy, Mudhakkirat Harib (Cairo: Islamic Publishing House, 2000), p.15. Farouk Taifour, "Al-Juz' al-Rabi: al-Ikhwan wa'l-Tanzimat al-Sirriya," Egyptian Institute for Political and Strategic Studies, Cairo, EIPSS-EG.org, Feb. 24, 2016. "Profile: Egypt's Muslim Brotherhood," BBC, Dec. 25, 2013. Tharwat Kharbawi, Sirr al-Ma'bad (Cairo: Nahdet Misr Publishing, 2012), p. 220. YouTube, "Al-Sadat Yatahadath an al-Gama'a al-Islamiya wa'l-Ikhwan," May 9, 2012. 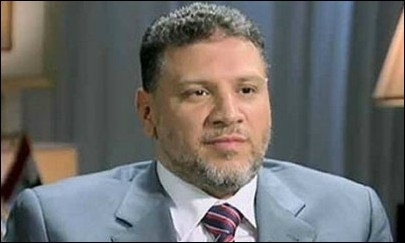 Mustafa Mashour, "Al-Jihad huwa al-Sabil," The Official Muslim Brotherhood Encyclopedia, IkhwanWiki.com, accessed Aug. 31, 2016; idem, "Jihad Is the Way," trans. Palestinian Media Watch, Jerusalem, Feb. 9, 2011. Daniel Pipes, "How Islamists Came to Dominate European Islam," National Review Online, May 25, 2010. "The Muslim Brotherhood's Strategic Plan for America—Court document," The Clarion Project, Washington, D.C., accessed Sept. 1, 2016. Farouk Taifour, "Hal Kharajat Daesh min Rahm Fikr al-Ikhwan al-Muslimin?" Egyptian Institute for Political and Strategic Studies, Cairo, EIPSS-EG.org. "Abdullah Azzam: Overview," Counter Extremist Project, New York, accessed Feb. 9, 2017. "Al-Sheikh Wagdy Ghoneim: La li'l-Tahaluf al-Salibi dudd al-Dawla al-Islamiya," You Tube, Sept. 19, 2014. Stephen Lacroix, "Osama bin Laden and the Saudi Muslim Brotherhood," Foreign Policy, Oct. 3, 2012. "Ta'kib al-Sheikh Ayman al-Zawahiri ala Azl Morsi wa-Tahdid al-Jaish," You Tube, July 5, 2013. "Ayman al-Zawahiri Yuwajih Risalat Itab li-Morsi wa-Yadou Allah an Yafuku Asrahou," You Tube, Feb. 11, 2014; Erich Follath, "Political Stability Eludes Polarized Egypt," Der Spiegel (Hamburg), July 29, 2013. Banna, Mudhakkirat al-Da'wa, p. 144. "Abdel Moneim Abul Futuh Yajtami ma'a Haraket Taliban Afghanistan," You Tube, June 8, 2013. "Bylaws of the International Muslim Brotherhood," June 1928. Muhammad Kandil, "Al-Thabit al-Rab'i: al-Jihad Salbiluna," The Official Muslim Brotherhood Encyclopedia, IkhwanWiki.com, accessed Sept. 1, 2016; "The Muslim Brotherhood: Understanding its Roots and Impact, 1. Overview," Foundation for Defense of Democracies, Washington, D.C., accessed Feb. 9, 2017. Umar Ashur, "Hal Ya'ud al-Ikhwan al-Muslimun fi Masr ila'l-Unf al-Siyasi?" Brookings Institute, Washington, D.C., July 30, 2014. Daniel Pipes and Cynthia Farahat, "Egypt's Sham Election," National Review Online, Dec. 6, 2011; Shuruk News (Cairo), Mar. 22, 2016. Amb. Yahia Najm, Akhbar al-Yom TV (Cairo), in Cynthia Farahat, "CairoGate: Egyptian Diplomat Survives MB Torture Says 'It was like a Nazi camp,'" Dec. 9, 2012. "The Muslim Brotherhood's Strategic Plan for America—Court document," The Clarion Project, Washington, D.C., accessed Sep. 1, 2016. Related Topics: Egypt, Radical Islam | Cynthia Farahat | Spring 2017 MEQ receive the latest by email: subscribe to the free mef mailing list This text may be reposted or forwarded so long as it is presented as an integral whole with complete and accurate information provided about its author, date, place of publication, and original URL.